Does your company currently use EDI software? If you’re like most decision makers in companies around the world, this might sound like another pitch for yet another platform you don’t need. These days, it seems like new software comes out every second, but that definitely doesn’t mean that these programs are worth your time. Instead, you should be extremely cautious in investing in yet another piece of software. That being said, benefiting from an electronic data interchange is definitely a smart way to keep your company ahead of the curve. Amongst other things, it will make it possible for your business to utilize as many moving parts as possible without worrying about how things could easily go awry. Right now, you might use all kinds of tech spread out across the planet. However, doing so means that you need a human operator to basically translate what one is saying to the other. How can you do this and still keep your overhead? EDI is the answer. It provides the transcription you need so that your overhead remains manageable, your various systems are able to do their jobs and human error becomes virtually a non-issue. If it’s good enough for giant corporations like Wal-Mart, it should be considered good enough for your company too. Would you like to take your company to the next level? Of course you would! Everyone wants to run an organization that’s as successful as possible. There’s no other way you’re going to see results. In fact, thanks to globalization, if you’re not constantly pushing your company forward, as hard as you can, you’ll soon find that you’re going out of business. Some competitor will quickly take your place. How do you go about getting more from your company then? Well, let’s look at what you’re already using to your advantage. Employees are an obvious one. They’re a huge asset that can make or break their employer. Plus, you probably spend a good amount on them too. Like most companies, employees probably make up the majority of your overhead. How do you go about getting more from them then? It’s actually quite simple. Invest in nothing more than a time clock and you’ll soon see incredible results. These days, there are even more advanced versions, like biometric time clocks, that can help with this goal. In any case, all you need is a good clock that ensure employees are showing up when they’re supposed to and working until they’re scheduled for. This is hugely important. 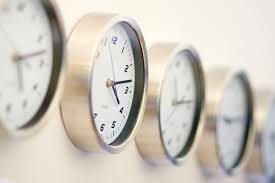 Never underestimate the power of good time clocks on your business. Though it may not be the most technologically advanced asset you invest in, this one thing can help you get more productivity from your workers. If you are in Los Angeles for some business and you forgot to bring your laptop with you, what should you do? How do you get a laptop for temporary use? If you have the money, you can easily buy a new one. However, if you are just like most other practical-minded traveler who needs a laptop, you can head to a company or shop that offers laptop rental in Los Angeles. 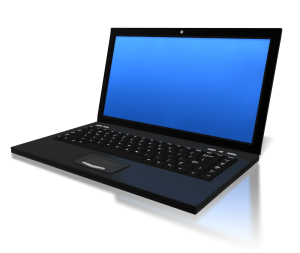 Renting a laptop is a quick way to get a laptop for temporary use. Los Angeles has many companies offering this service. However, just like anywhere else in the United States, not every rental company can be a good choice. You have to carefully sort your options. The closer rental company is more preferable. The computer specifications should meet your needs. The terms and conditions should be favorable to you. Avoid companies that tend to impose a lot of burden on you or those that create terms that will likely make you liable for even the slightest of damages on the laptops you rent. A company that can take charge of the delivery for free would be ideal. A company that offers free setup along with the extension wires and power supply accessories would be preferable. Use these criteria and you should find worthy options before comparing them based on their rental rates. Contrary to what others may advise, the rental rates definitely matter. However, they should not be your main reason for considering a company your best choice. The rates should always be compared with the laptop specs or condition and the terms and conditions of the rental contract. You will not easily learn about the rates of different companies online so you may have to send them an email or contact them by phone. There are many reviews and customer feedback for many computer rental companies online. Bear in mind though that most of these reviews and feedback, especially those being shown on company websites, are not reliable. However, real reviews and customer feedback do exist. They are usually associated with social media accounts or longtime accounts on credible shopping comparison or consumer websites. Reviews and feedback don’t define the best companies for laptop rental but they help in getting insights about the companies you are considering. There’s not much credibility in actually naming Orange County companies that can be considered the best providers of laptop rentals since it can be perceived as a form of aggressive paid marketing. However, the points discussed above should be useful in finding the best laptop rental option for you.